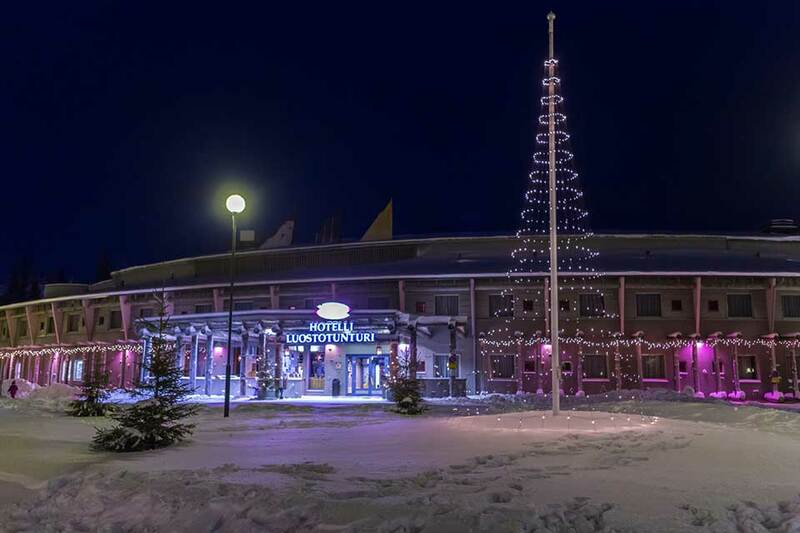 Capture the true spirit of Christmas at the scenic resort of Luosto, the perfect setting for your holiday in Lapland. While perhaps a more concentrated tour, Magical Moments provides the perfect opportunity to experience the same ingredients as those of a longer duration. Enjoy reindeer and husky sleigh rides and exciting trips by snowmobile through beautiful snow-covered forests and plains as we seek the great man. Where shall we find him? Will the scouts and elves be there to guide us? Of course they will and even though Santa has been a very busy man, supervising the dispatch of toys in time for Christmas Day; he will be thrilled to meet all the children who have made this very special journey to Luosto to see him. Upon arrival at Rovaniemi Airport, you will be greeted by your personal tour guide & transported by coach to the magical resort of Luosto. As we approach Luosto a short stop will be made, where you will collect your snow suits and boots. 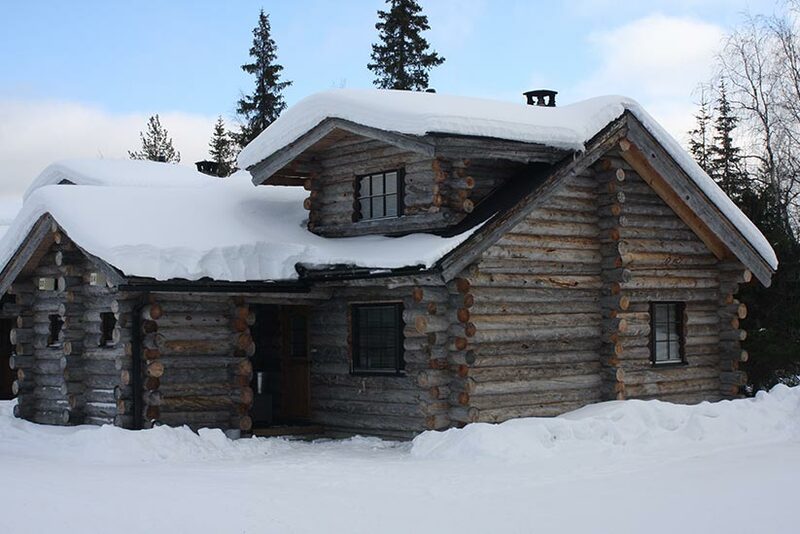 Once in Luosto, check into your traditional log cabin or hotel room. A welcome dinner will be available in the restaurant this evening. Watch out for the elves as you meander in resort, will mischievous Tricky Dicky be there to play a trick on you? Sledges will be available should you wish to play in the snow in resort this evening. Following a warm and filling breakfast, we set off from Luosto for a variety of locations where snowmobiles, reindeer and the ever energetic husky dogs will be waiting to lead our search for Santa. Speedy Sam is often seen racing around making sure that everything is ready for Santa, will he reveal any clues as to where Santa may be? Perhaps we’ll bump into Noisy Nod at the Elf House today? He’s feeling sleepy; wake him up! We need to know where Santa is. After an action-packed morning you might like to relax beside an open fire. We’ll stop for lunch at an outside venue before our search resumes. Could Santa be at the Magical Post Office? Let’s find out. Following a funfilled day it’s time to return to Luosto, where you can relax and enjoy a drink at the Merry Elf while your family enjoy the children’s entertainment. A farewell dinner will be available this evening. Don’t forget to set your alarm clock tonight for tomorrow we have an early start. If we failed to find Santa yesterday, it is imperative that we reach his home today. Once again we will enjoy a sleigh ride in the Lappish Wilderness, Santa is always thrilled to meet every child who visits him, for he knows that they have travelled a very long way to see him and he has a present for each and every one of them (as per brochure). Lunch will be provided, prior to departure from Luosto. Finally, it’s time to transfer to Rovaniemi for your return flight home and during the journey to the airport you will receive commemorative licences of your stay in Lapland. Say a fond farewell to Santa, Mrs Claus, Wendy Wood and the Special Elves.